It's About Achieving Greatness, Staying Healthy and Alive! 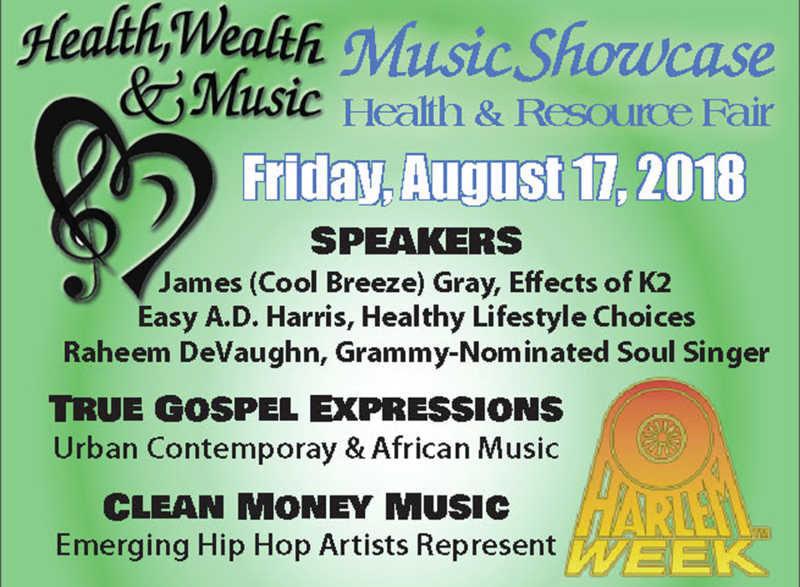 You are invited to join us on August 17, 2018 during Harlem Week at the historic Herbert Cave Auditorium at Harlem Hospital, 512 Lenox Avenue (off 135th Street) for Health, Wealth & Music, Health Fair & Music Showcase from 4 pm to 8:30 pm. 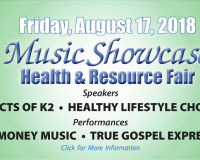 The event will increase awareness about critical health issues and present music and entertainment that uplifts us. 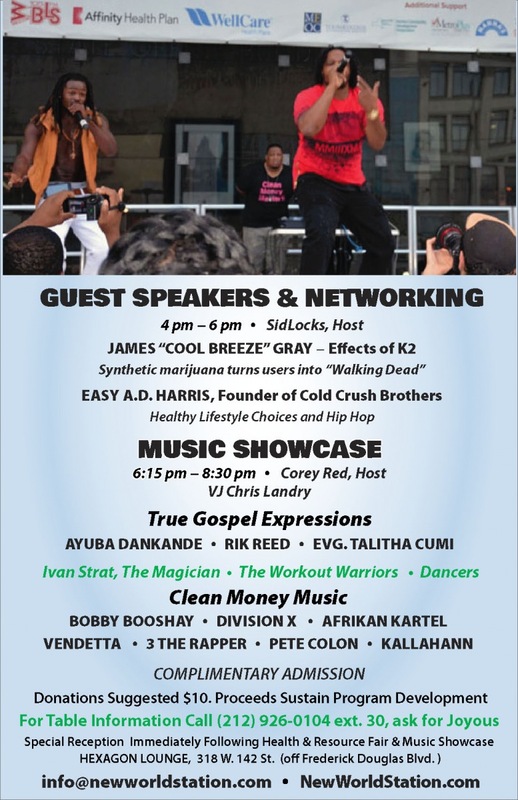 Easy A.D. Harris, Founding member of the Legendary Cold Crush Brothers spreads the message — Healthy Lifestyle Choices through the Culture of Hip Hop. James (Cool Breeze) Gray, Executive VP of National Action Network (NAN) Bronx chapter — on the Effects of K2. 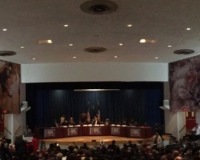 James Gray, Executive VP of National Action Network (NAN) Bronx chapter is on the front lines of the war on K2. He's been arrested three times with fellow NAN activists for protesting the sale of K2 in black communities of NYC. This was part of a five borough K2 campaign spearheaded by the NAN to expose smoke shops and bodegas who are selling this lethal drug. Top artists from across the country light up the stage with music and lyrics that are creative, message driven and on the level of Young Money, Cash Money and Dirty Money — except that they don't refer to themselves as B's, H's and N's. Clean Money Music™ brings a different dynamic to the way people and the media perceive hip hop artists and the communities they represent. Health, Wealth & Music is co-presented by Voza Rivers / New Heritage Theatre Group (est 1964) in collaboration with Successfully Empowering Every Women, Child and Family; NewWorldStation.com; Harlem Arts Alliance; Society for Iatrogenic Awareness; RhythmAndSoulRadio.com; and F.A.ME. Academy. Come on out, bring your family and friends as we celebrate and elevate! Tickets are Complimentary. Donations OF $10 are suggested. 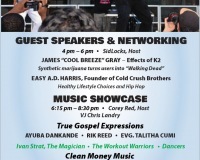 All proceeds go to sustain Health, Wealth & Music programming. to reserve a table call 212-926-0104, ext.30.